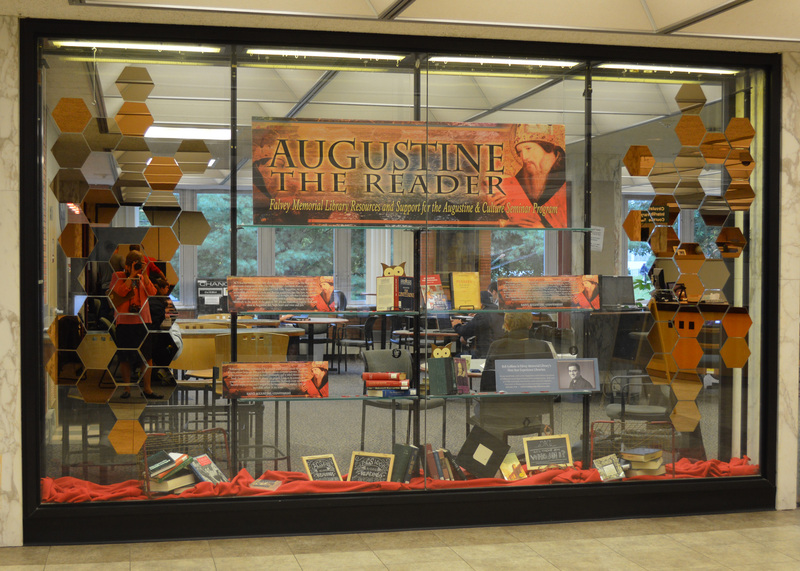 “Augustine the Reader: Falvey Memorial Library Resources and Support for the Augustine & Culture Seminar Program” is the theme of the exhibit filling a display window between Falvey’s first floor and the Holy Grounds Café. Vertical rows of hexagonal mirrors flank the body of the exhibit. The mirrors refer to the theme, “Who am I? ; this is the fundamental question of the Augustine & Culture Seminar (ACS), a two-semester seminar that all first-year students are required to take. The first semester students read works from the greatest thinkers of the ancient, medieval and Renaissance worlds. Second semester students read works by writers from the Enlightenment to the present. Works by some of these writers are on display, including a volume of Augustine’s Confessions and one by Shakespeare, each held by an owl, traditionally a symbol of wisdom. Four text panels explain what ACS teaches students, present two passages from the Confessions and introduce Rob LeBlanc, the first-year experience librarian who works with the ACS students. Chosen readings were selected by Gregory D. Hoskins, PhD, ACS program faculty mentor. 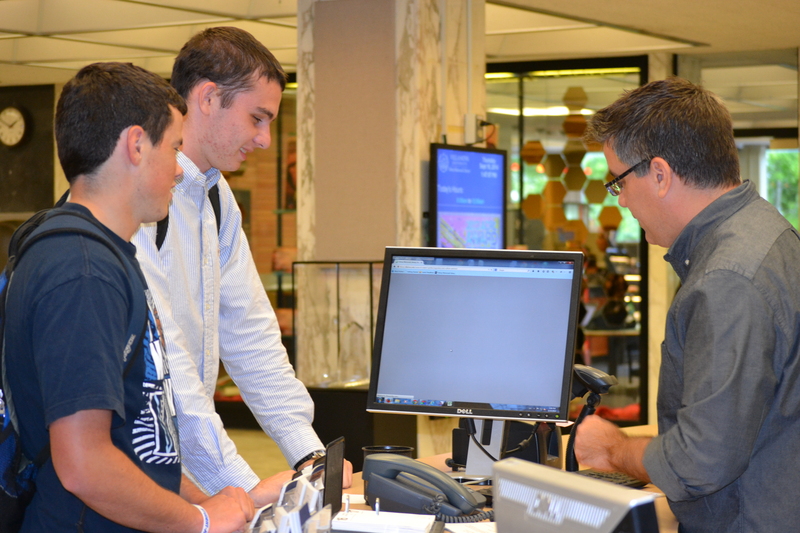 Dr. Hoskins mentors students in studies of texts that cross disciplinary boundaries. The exhibit and its graphics were designed by Joanne Quinn, Falvey’s graphic designer.